Without Jody Wilson-Raybould's input, the debate over whether Prime Minister Justin Trudeau's office exerted inappropriate influence over the SNC-Lavalin corruption case remains one-sided. Jody Wilson-Raybould said she left Prime Minister Justin Trudeau's cabinet with a heavy heart. That forced Trudeau to deny that his government's alleged heavy-handed efforts to get her to intervene in fraud and corruption charges against Quebec-based engineering firm SNC-Lavalin had anything to do with it. 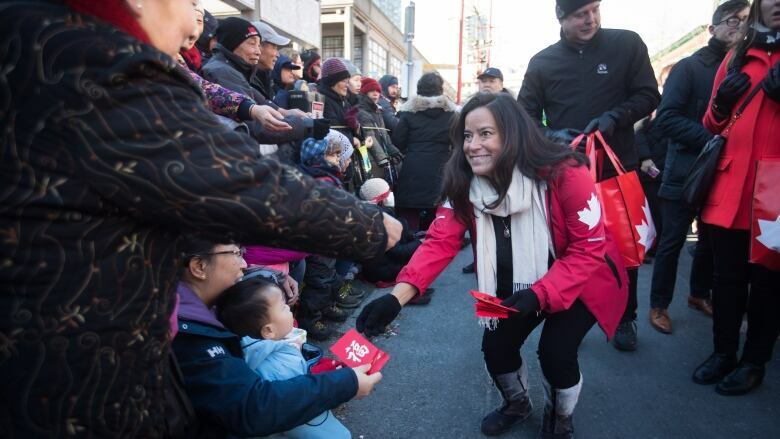 It was only a day earlier that Trudeau told reporters in Vancouver that Wilson-Raybould's continued presence in his inner circle should speak for itself — even if she wasn't with him for an important government announcement in a riding next door to her own. But it's what he said next that matters more now. Trudeau told reporters that he'd spoken with Wilson-Raybould on the weekend, that she'd confirmed to him the details of "a conversation we had in the fall, when I told her directly that any decisions on matters involving the director of public prosecutions were hers and hers alone." Less than 24 hours after those words passed the prime minister's lips, Wilson-Raybould quit. Exactly what happened over that time period remains unclear. The prime minister, having moved on to Winnipeg Tuesday for another government funding announcement, wasn't willing to let Wilson-Raybould's abrupt departure from his cabinet speak for itself. "This resignation is not consistent with conversations I had with Jody a few weeks ago when I asked her to serve as minister for Veterans Affairs … Nor is it consistent with conversation we've had lately." Trudeau also said his government "did its job" on the SNC-Lavalin case, "and to the clear public standards expected of it." Wilson-Raybould, he said, had an obligation to tell him of any concerns she had with the government's handling of the case, and didn't. That was Trudeau's core talking point. He repeated it several times. So for the second time in as many days, the prime minister spoke not only for himself but for his now former minister — once a star Liberal recruit and key cabinet player, now on the sidelines. It's like a he-said-she-said situation, only he's doing all the talking. About the only thing that isn't in dispute is that the ethics commissioner is launching an investigation into whether someone in Trudeau's government acted to advance the private interests of SNC-Lavalin — one of this country's largest construction and engineering firms, and one with a long history of ties to the Liberal Party. If the commissioner concludes that's what happened, the question then becomes whether there's enough evidence to support a criminal probe. Wilson-Raybould continues to insist she's bound by solicitor-client privilege and can't publicly discuss whether (as the Globe and Mail reported last week) she was pressured to intervene in the SNC-Lavalin case last fall by unnamed members of the Prime Minister's Office. She's engaged a top-flight lawyer — the former supreme court justice Thomas Cromwell — to advise her on what she can reveal publicly. Without her input, this remains an entirely one-sided conversation. That's a situation the opposition parties are determined to change. That effort starts today, when members of the Commons justice committee meet to discuss whether to call as witnesses two of the prime minister's senior staff, Wilson-Raybould herself and her successor at the Department of Justice, David Lametti, among others. "This strikes at the very core of our justice system," said Conservative Leader Andrew Scheer. "(Trudeau) has a responsibility to answer these questions directly, in a manner where Parliamentarians can hold him to account for his actions and the action of people in his office." The Liberals hold the majority on the committee, which is chaired by Liberal MP Anthony Housefather. "I am leaning towards the fact that the committee should investigate it," Housefather told CBC's Power and Politics, adding that a decision on who should be called still has to be made. The NDP wants the prime minister added to the list of witnesses. New Democrat MP Nathan Cullen said Wilson-Raybould's sudden departure left the prime minister's version of events looking wobbly. "Justin Trudeau told reporters in Vancouver that the fact she was still in cabinet speaks for itself," he said. "Now that she's no longer in cabinet, does that also speak for itself?" 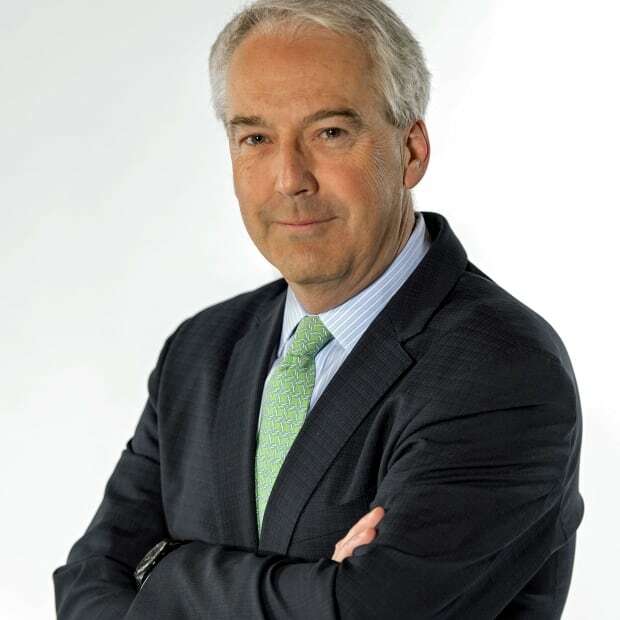 Adding the prime minister to the list of potential witness, Cullen acknowledged, is not a decision to be taken lightly — especially in the hyper-partisan climate of an election year. "If you are going to call a sitting prime minister to testify before committee, you have to make sure you are doing it for the right reasons," he said. "Wilson-Raybould's resignation increases dramatically the need for him to address all the assurances he's given, when all of them have now fallen apart." In his very first public comment on the case, Trudeau said no one in his office had directed Wilson-Raybould to intervene on SNC-Lavalin's behalf. He was followed by Lametti, who told various political broadcasts over the weekend that neither he nor Wilson-Raybould had been pressured over the case — even though he admitted he hadn't spoken to her and was basing his remarks solely on what the prime minister had said. Then the rumours began. Unnamed sources told various media outlets that Wilson-Raybould — Canada's first ever Indigenous justice minister — was difficult to work with. That she wasn't a team player. Those same sources (or perhaps different ones) conceded there had been discussions with her about the case. But no direction. No influence. Nothing improper. It's hard to oversell the importance of this story — and not just because it's an election year. SNC-Lavalin is a huge employer in Quebec. The province is critical to the Liberals' hopes of a second majority this fall. On the other hand, a government giving special treatment to a Quebec-based company facing criminal prosecution would be a serious problem for voters in the rest of the country, including Wilson-Raybould's home province of British Columbia. And it's worth remembering that Wilson-Raybould wasn't just any federal cabinet minister. She's not the first cabinet minister Trudeau's had to replace. But she's clearly the most important — because of who she is, where she's from and what she represents to a government that has worked to sell itself as more transparent, more committed to gender equality and more open to addressing the historic grievances of Indigenous people. "The actions of the past week, seeing (her) being tossed under the bus, certainly is a message to First Nations but also to women across Canada," said Chief Bob Chamberlin, vice-president of the Union of British Columbia Indian Chiefs. "This is going to come together into a very large movement when it comes election time next October." In the meantime, Wilson-Raybould will consult with her lawyer to see what she can say. The columnists are already betting that she'll be given the go-ahead to address the allegations publicly. The only question is when.